← What Part of No Don’t You Understand? In the present state of the world, it is evident that the control we have gained of physical energies, heat, light, electricity, etc., without having first secured control of our use of ourselves is a perilous affair. Without the control of our use of ourselves, our use of other things is blind; it may lead to anything. 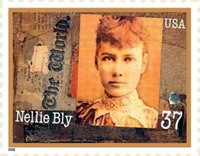 Nellie Bly was a remarkable woman. “The best reporter in America,” wrote the New York Evening Standard when she died in 1922. She was a pioneer in investigative journalism. She feigned insanity and got herself committed to a lunatic asylum to expose its horrors in print. She circled the globe faster than any live or fictional character. She designed, manufactured and marketed the first successful steel barrel produced in the United States. And the was the first woman to report from the eastern front during World War I. With no help from anyone, and with only a few months’ previous experience working for a newspaper in Pittsburgh, she managed to break into journalism in New York in 1887, at a time when there were very few women reporters and a strong belief among newspaper people that women should only be assigned stories about cooking, society and the like. Within a year of arriving in New York, she became one of the best-known journalists in the city. She did it by “applying and directing” her energies skillfully. She knew that she wanted a career in journalism and she proceeded in a skillful and systematic way to accomplish this. She began by tricking an editor into granting her an initial job interview – quite an achievement in itself. She then made a career of creative self-invention, in the best sense of the phrase. She had a strong instinct for a scoop and knew exactly how to handle herself in tricky situations where, at times, her life was in danger. She also had a keen sense of what would sell, and so made a speciality of jailhouse confessions of accused murderers. At around the same time that Bly was achieving success in the world of journalism, half way around the globe another talented individual was learning how to “rightly apply and direct” energy within himself in order to overcome a serious obstacle he was facing. F. Matthias Alexander, a talented Australian actor and reciter, was having problems with his voice during performances. Doctors and vocal coaches were unable to help. 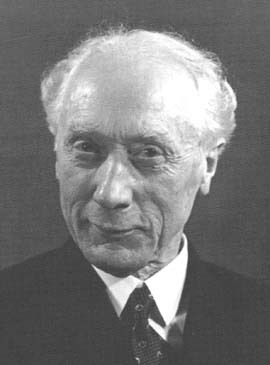 Desperate to continue his career, he embarked on a systematic program of self-examination that not only produced a solution to his vocal difficulties, but eventually became the basis of what today is called the Alexander Technique. Like Bly, Alexander had a passion for his chosen career. And like Bly, he had the ability to remain focused on exactly what was needed to achieve success. Neither one let obstacles, disappointments or temporary failures to get in the way of what they wanted. Neither Bly nor Alexander had much formal education. Bly relied on her energy, wits and instinct to achieve success. So did Alexander. The Technique which he developed is a systematic, well thought out approach to improving human functioning. But it is no way complex or mysterious – sometimes it’s been characterized as “applied common sense”. And no prior training is required for those who want to learn the Technique for themselves. Bly’s legacy lives on in the successful careers of today’s many women reporters, news analysts and TV anchor-persons and in the investigative reporting techniques she helped pioneer. Alexander’s legacy can be found in a Technique that is today taught by thousands of teachers around the world. It has been widely used for over a century by people from all backgrounds to improve their performance skills and to free themselves from stress-related aches and pains by learning how to rightly apply and direct their thoughts and energies to improve their physical functioning. The careers of Bly and Alexander demonstrate how, with the systematic application of disciplined intention and practice, a single individual can have a huge impact on the lives of many others. Nellie Bly – Daredevil, Reporter, Feminist by Brooke Kroeger, Times Books, New York, 1994. The opening quote can be found on page 85. The Use of the Self by F. Matthias Alexander includes a detailed account of the self-exploration process that led to the Alexander Technique. I’m with you on that Mister Mark!